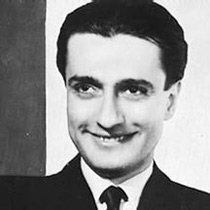 Dinu Lipatti was a hugely talented Romanian pianist, who tragically died in the prime of his life. He left a small handful of recordings which have inspired listeners and musicians with their power and nobility. I'd say he's one of my top 3 favorite piano players. Dinu Lipatti was born in 1917 in Bucharest, the capital of Romania. His father was a highly trained violinist, and his mother a pianist (a good start for a young musician!). He started performing in public at a very young age - he actually played the piano at his own baptism! He studied at the Bucharest Conservatoire and in Paris, and throughout his life was taught by the top classical musicians of the day. During World War II, he escaped to Geneva in neutral Switzerland, and started teaching at the Conservatoire there. But he had just settled into his new life and achieved greater recognition in the musical community when he began to show signs of illness. Doctors diagnosed him with Hodgkin's disease, a type of cancer, a few years later. He performed far less frequently in public after this devastating news. A record producer convinced him to make recordings to capture his greatness before it was too late. The sound engineers would come around to his house whenever he was feeling well enough. 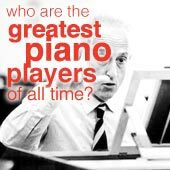 They only managed to record enough to fill five CDs though, which is all we have as a testament to Lipatti's great talent. Dinu Lipatti gave his last, supremely poignant performance in France towards the end of 1950 (his last year alive). Under extreme pain which weakened him greatly, he could barely walk to the piano. 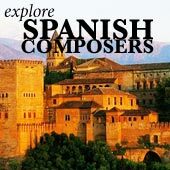 Despite his agony, he played wise, touching interpretations of pieces by Mozart (click for biography), Schubert, Bach, and the great piano poet Frederic Chopin. He was so exhausted at the end of the recital that he couldn't play the last piece he was supposed to. Instead, he ended his short musical career with a sublimely calm chorale by Bach. This, was perhaps one of the greatest piano recitals of the 20th century. Luckily for us it was recorded - it's available on EMI classics ("Dinu Lipatti - The Last Recital"). It's definitely one of the most touching recordings I've ever heard, even if you forget about the doomed pianist and just listen to the beautiful pianism. Lipatti died painfully a few months later in Geneva. He was only 33 years old. 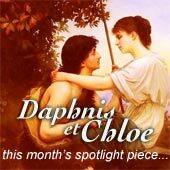 One of the readers of this site, Emeliye, sent in a wonderful first-hand account of Dinu's last performance... thank you, Emeliye! "He and my brother were friends, although, because Dinu travelled so much, we rarely met. My brother was a very young conductor, a composer, pianist and french horn player, as was I. In 1950, Jonathan (my brother) went to Besancon to meet him and attend the concert he gave at the festival. Jonathan was appalled when he saw Dinu, who was very close to death and in terrible agony. They spent half an hour together to help Dinu keep calm. The Jonathan wished him good luck and went into the auditorium. Dinu staggered to the piano and began what would be his farewell recital - and he knew it! How he played. My brother sat and wept. Finally, Dinu got to his feet but almost collapsed. His doctor came and helped him off. The applause was deafening. The doctor gave him an injection. He staggered back to the piano, smiled and waved to the crowd, sat down, and began to play his last ever public work, Bach's Jesu, Joy of Man's Desiring. Jonathan knew it was the end. Dinu was radiant and, in spite of the terrible weakness, he waved goodbye. This time, the crowd knew it too!" In my opinion he defines the word "virtuoso" - perfectly accurate technique, astonishingly beautiful colors and feelings, and effortless speed and grace. He never tried to show off. His performances let the true nature of the music breathe, without interference from his ego. He must have been born with a natural gift for musicality, which triumphed even when he was suffering greatly from his terrible illness. His magical playing is almost as enjoyable and moving on the recordings as if he were alive and performing away right in front of you! Here are some of my favorite Dinu Lipatti performances. I really hope you enjoy these, and that you can hear for yourself what I've been talking about! Click to explore the life and playing of Georges Cziffra, another pianist with a somewhat tragic life and an astonishing gift for music.